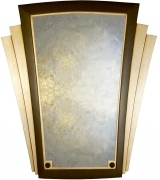 If you're looking for an Art Deco mirror and appreciate the Art Deco then I think you'll appreciate my Collection of Art Deco Mirrors & Overmantles as they have all the refined elegance and signature hint of modernity that is associated with this beautiful decorative style. 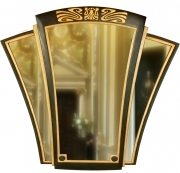 The finishes of my Art Deco style mirrors are of an authentic, true to period, gilded finish. 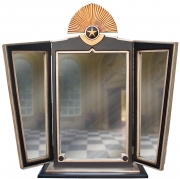 Click on any of the Art Deco Mirrors below for more detailed information. As a designer I love the Art Deco's use of pure geometric forms, its clean angular symmetry typical of the modernist movement and the way these hard lines are softened by the infusion of other traditional decorative styles like ancient Egyptian and Aztec forms. 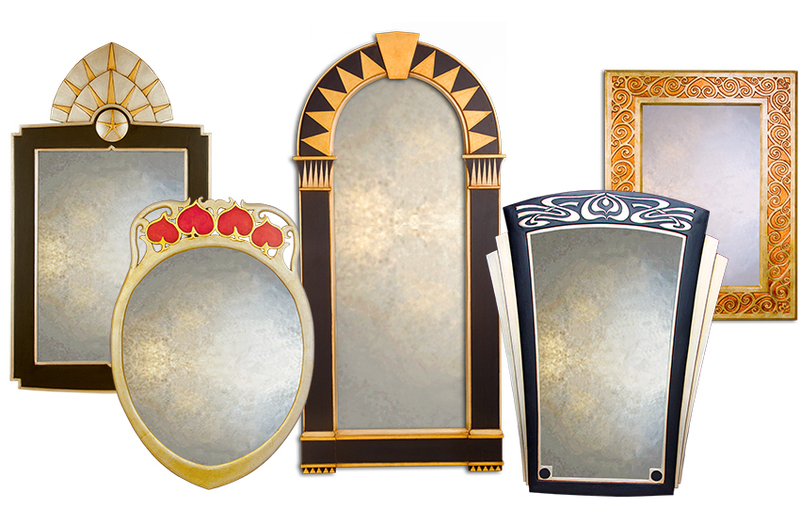 My current collection of Art Deco mirrors and overmantles is limited but if you like the quality of my work and my gilded finishes but don't feel any of my existing mirror designs are right for you then please get in touch and let me know as I'd love the chance to design more Deco mirrors so I can add these to my collection.... and you'll be getting a bespoke mirror for the price of a standard mirror! 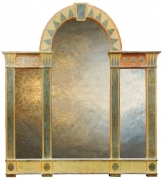 It's so important when you set out to buy a large Deco mirror or overmantle you don't simply focus on getting the right style and finish -it's essential you get the right size and proportions too. 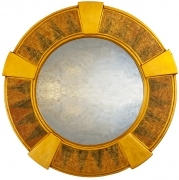 As large Deco mirrors your mirror will inevitably be a major focal point in any room and as such you will want to get it right. Normally this level of customisation can be costly but by dealing direct I think you will find it will be affordable or the other way of looking at it. 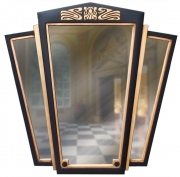 If you would like to consider alternative decorative styles then you might like to view my Gothic, Classical or Contemporary Mirror Collections.